antHill: The portal to your antsle! 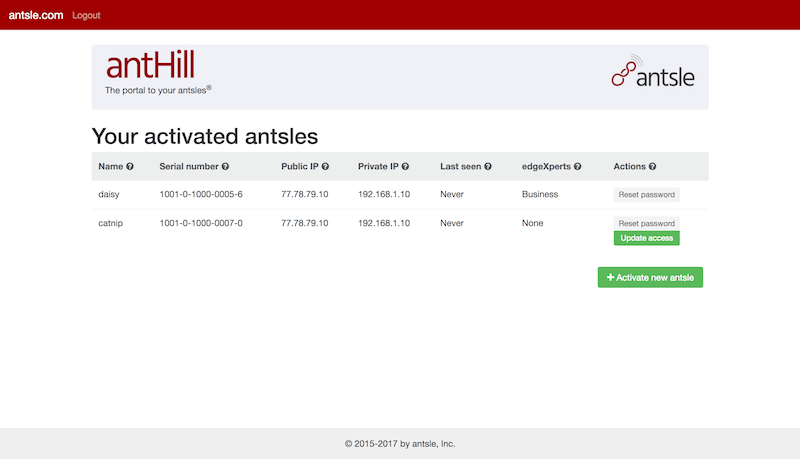 antHill allows you to set up your antsle's details easily, including name, password, and network configuration. You can also reset the root password of your antsle if it is lost or forgotten. And we have much more antHill features in the works! This allows you to install an OS from an installation .iso. So if you have a CentOS, Windows, Manjaro, Ubuntu or different .iso that you couldn't find in our templates, you can now install it in an antlet! 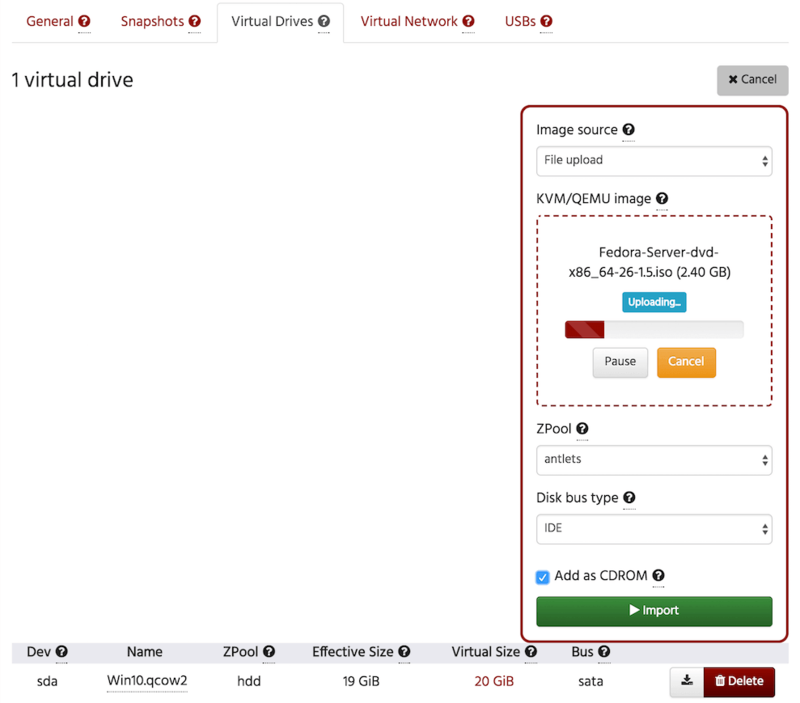 This allows you to import .qcow etc. files into your antlets directly. 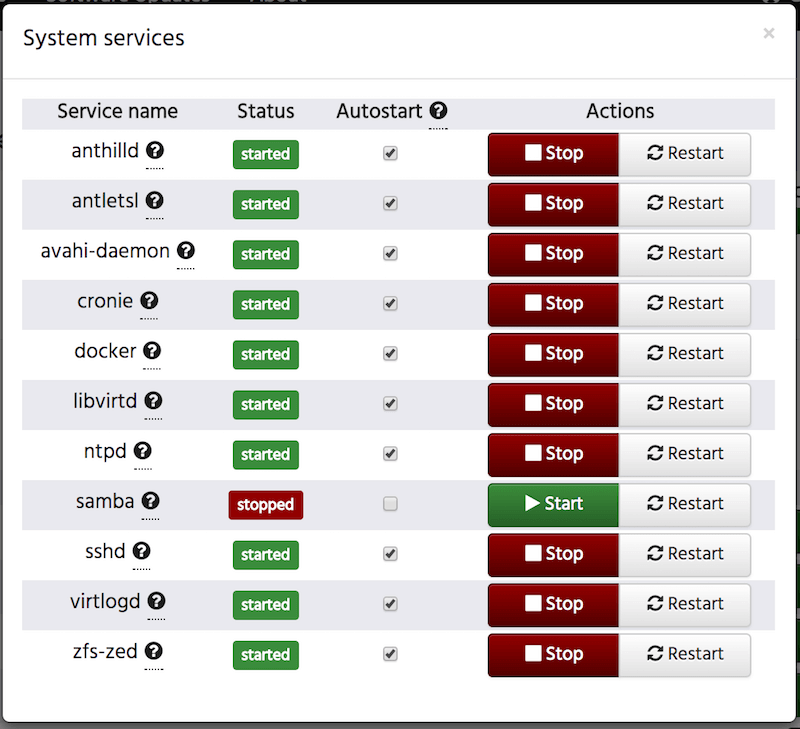 You can now manage your system services, such as docker, libvirtd, antHill, etc. from antMan directly. We have made some of the GUI interactions more consistent and the error messages more readable. As well as added more relevant information to the antlet properties panel and sections. Many bug fixes including resolving the duplicate MAC address issue when cloning an antlet. Login to your antsle via ssh: ssh root@myantsle.local, run the upgrade script: upgrade-antman, and follow a few update prompts. Then make a new tab in your browser and point it to http://<myantslename>.local. Enjoy using antHill and the new antMan! After signing up at https://anthill.antsle.com/#/signup/ and click on the “Activate new antsle” button. Then input your antsle’s serial number. This is found on your antsle delivery note or the sticker on the bottom side of your antsle. Next input your current antsle root password. Pick your antsle’s name (make it funny 🙂 or keep it the same), new root password, and custom networking configuration (most of the time you will want to just keep it as the default). If you like you can also get access to our edgeXperts. After going through the step your antsle should now show up on your antHill dashboard. Any issues email anthill@antsle.com or call (619) 305 - 9999.